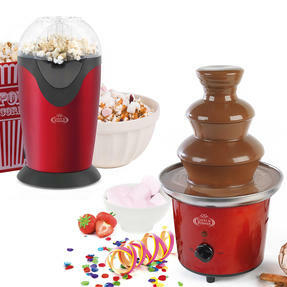 Perfect for parties, birthdays, baby showers and other special occasions, this fabulous chocolate fountain and popcorn maker set is sure to provide a fun way to celebrate. 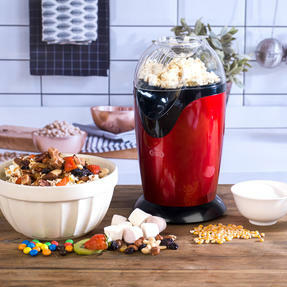 With a three tier system made from stainless steel and heat resistant plastic, the chocolate fountain is great for dipping fruit and marshmallows, whereas you can just tip one cup of kernels into the chamber using the included measuring cup and you can have delicious, warm popcorn in just three minutes made with just hot air. For fun and tasty treats, this Giles & Posner Chocolate Fountain and Hot Air Popcorn Maker is ideal, perfect for any social gathering. 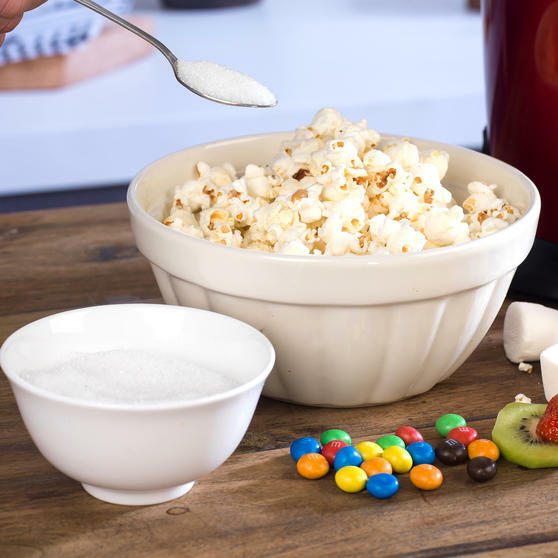 The 1200 W popcorn maker produces a bowl full from 1 cup of kernels, and comes with a measuring cup to make just the right amount. 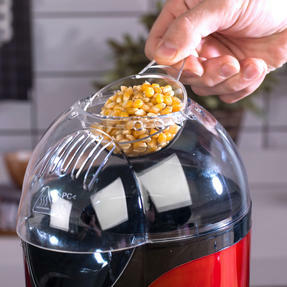 It has non-slip feet for safe operation, and a spout so the popcorn is easily released into a bowl placed underneath with no mess. 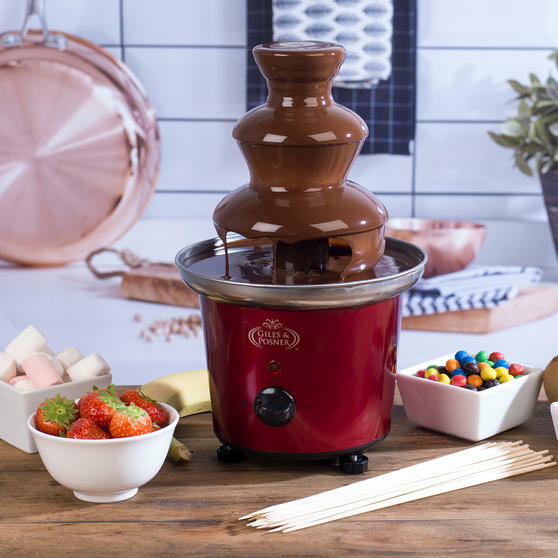 Made from stainless steel and heat resistant plastic, the chocolate fountain has a safety fuse and thermostat prevent overheating. 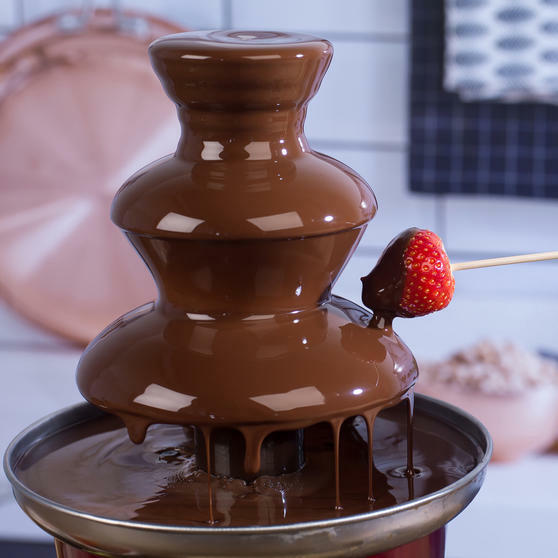 Simply melt the chocolate to the required consistency, allow the fountain to heat up then pour in the chocolate and watch it cascade. To ensure your product arrives on time, we strongly advise you to order in advance to avoid any disappointments. Delivery can take anything from 1-3 days depending on location. 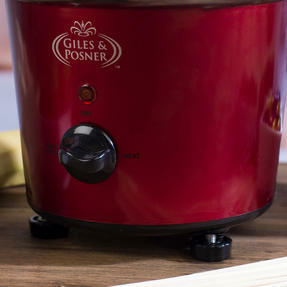 At Giles & Posner we're passionate about food - and we're passionate about bright ideas too. Our fantastic range of products began with the chocolate fountain; we took the concept and expertly refined it - and the result is a stylish, rapidly growing range of well designed, reliable and high quality range of party and kitchen appliances. 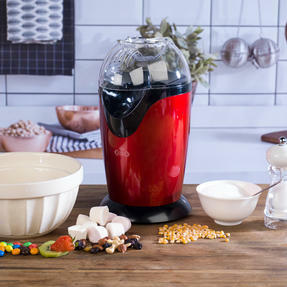 Our designer range now boasts the popular Chocolate Fountain, Candy Floss Maker, and the Sous Vide. So if you want to discover the experiences of tomorrow today, simply cast your eye over the excellent range of products that the Giles and Posner brand has to offer. 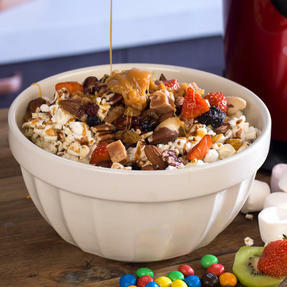 Copyright © 2015 Giles & Posner, All rights reserved.